Flywheel which has emerged out of nowhere in the last four years as a highly reliable and outstanding WordPress hosting provider. If you are a website developer or designer, you have probably heard about the utility of the WordPress platform. Perhaps you have arrived at this article while checking out some options for hosting WordPress websites. Even if you like to get your WordPress site hosted by a creative agency, you would do well to do some research about the top web hosts for WordPress. Are you ready to look at a relatively new, highly spoken about managed WordPress host? We are talking about Flywheel which has emerged out of nowhere in the last four years as a highly reliable and outstanding WordPress hosting provider. Well, at least that is what most of the customer reviews say on several hosting review websites and forums. You may be wondering how it is possible for such a young web host to become so popular in such a short span of time. So, we would not blame you if you thought that Flywheel’s popularity is just a marketing gimmick. 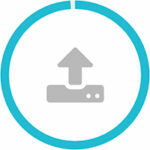 Does Flywheel live up to its tag of being a managed WordPress hosting service? Does Flywheel offer enough unique features for a WordPress site developer or designer to seriously consider it as a WordPress host for their clients? You will get answers to these questions and much more during the course of this article. We have taken it upon ourselves to do an in-depth study of all the features offered by the FlyWheel web host. The objective is to help you determine whether the Flywheel hosting provider is suitable for your WordPress site hosting requirements. 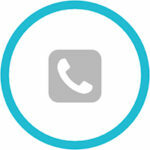 Let’s take a detailed look at the features offered by FlyWheel. Flywheel has very impressive and consistent uptime levels. 10/10 for support and assistance. Always very helpful and quick get in contact with them. This WordPress hosting company was founded in 2012 and its main office is located in Omaha, Nebraska in the US. It started with the objective of making WordPress designers’ and developers’ lives easier in terms of hosting their client’s WordPress sites. Apart from providing some simple pricing plans for your websites, this hosting company also started providing customised hosting plan options for extremely high volume sites. Clearly, this company has boasted scalability options from the start. So, whether you are creating the smallest of blogs or the largest of websites, experiencing visitor traffic by the truckload, Flywheel claims to have the capability to handle all of them. FlyWheel has also always focused on design and empowering designers or developers with the requisite tools to build function-rich and beautiful WordPress websites. 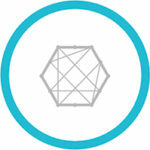 And, a first glance at Flywheel’s own website showcases their focus on design and simplicity. For a web host that claims to be good at hosting a number of websites for clients, one of the most important tests would be to keep the websites available most of the time. We understand that it is impossible for any web host to have a 100% uptime, but a good web host needs to demonstrate its capability to keep the downtimes to a minimum. Also, when an unscheduled downtime happens, the host needs to have a very proactive support team that can bring things back to normal in the shortest possible time. And, Flywheel emerges out a winner with regard to uptime. Although it does not offer any uptime guarantee, which does not mean much, the actual uptime results shared by customers, who have used Flywheel as a WordPress hosting platform, have been outstanding. Most results show that Flywheel has an uptime of around 99.99% and the same holds true for one of our client’s websites that we have built about a year ago with Flywheel. Apart from uptime, the speed of the server and the web page load times are also important criteria that determine your selection of a premium WordPress hosting provider. Flywheel also has built-in performance tuning and server-side caching features to further boost your site’s performance. Also, the use of the robust, cloud-based infrastructure by Flywheel ensures that your site consistently delivers a very high level of performance. Every Flywheel server is particularly tuned to ensure optimal performance at all times and this is possible, as this web host supports custom server configurations. We tried to measure the performance of a client’s site hosted with Flywheel’s services to verify whether the online customer reviews showering praises for Flywheel’s fast performance were indeed true. The average website loading time at different junctures and post caching was clocked at under 2 s which is pretty impressive. Also, it managed to give a very good server response time of less than 400 ms, even during extremely high traffic periods. Another significant factor that leads to high performance and speed for your websites is the option to host your website as near to your users as possible. This is because Flywheel has around 10 data centres that are spread across different continents, including Asia, Europe and North America. 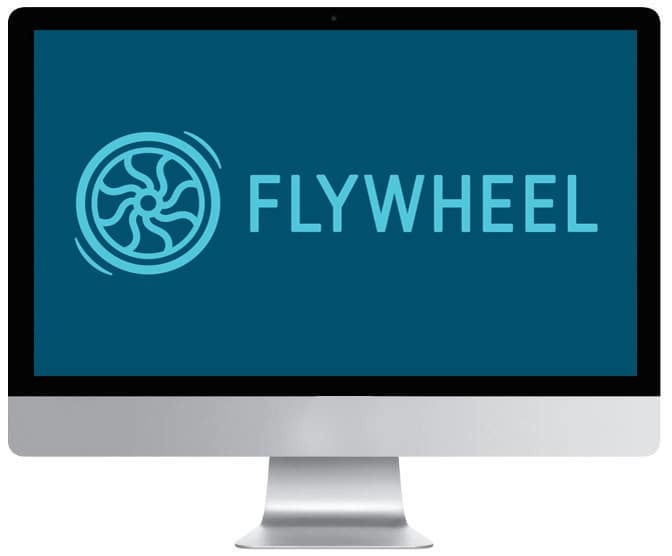 Submit a support ticket by sending an email to help@getflywheel.com. Use a telephone to call them at (888) 928-8882. Use the live chat option during the standard support hours. You also get access to a variety of articles with regard to getting started with Flywheel, domain names, security, plugins, databases, billing, and so on. Your servers are configured in a secure manner to ensure the maximum possible protection for your website from hacking attempts. Flywheel implements intelligent IP blocking on its security systems which identifies any intruders and blocks them across all the sites. Even so, if your WordPress site is hacked, the Flywheel team of experts will help you quickly fix the problem for free. This clearly shows their confidence in their security features. Also, Flywheel offers malware monitoring or scanning capabilities that helps to keep your websites even more secure. This is possible as Flywheel has partnered with Sucuri, a leading provider of WordPress security solutions. It is important that you always run the updated (or latest) WordPress version, which is generally the most secure one as well. With Flywheel, you need not worry about remembering to update your WordPress version, as their team manages all your major WordPress updates.